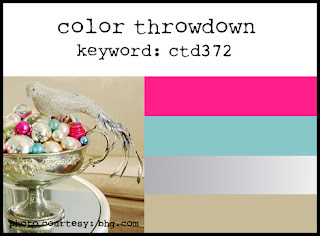 Here is my card for the current Color Throwdown challenge and here is our color palette. 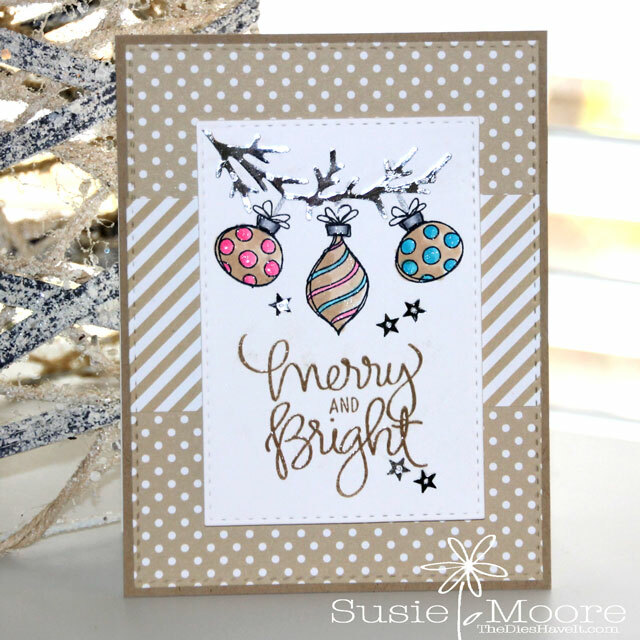 I have to admit I have never used these colors together, so it really WAS a challenge for me! In the past I haven't had good luck hanging items from banners or branches on a card....but I was determined to try again. 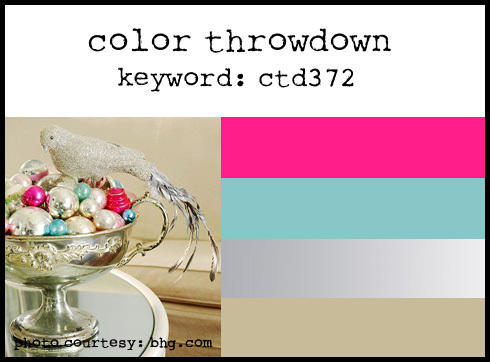 The silver branch is actually part of a die cut wreath. I adhered it after I stamped my images which made the "hanging" a bit easier!. I stamped my greeting in Avery Elle Kraft and I just swooned. Who knew what a great color this was? I added a few stars and some clear Wink of Stella to finish my card and I love it. Today is just the very first day of the challenge, so you still have plenty of time to create and share your project. You can click right here for the link to participate. Have fun creating! Love your baubles hanging from the branch!! It worked out great!! So glad you joined us at CTD!